Prevention is key to maintaining an attractive smile and good oral health for a lifetime. At Pinkston Dental Care, Dr. Pinkston and our team provide dental services and education to ensure patients benefit from strong healthy teeth for years to come. Whether your child is developing their first teeth and you are looking for gentle dentistry, or you need to schedule your next exam and cleaning, contact our Oklahoma City dentist today. Understanding the hygiene and nutritional choices to keep your smile healthy is essential for life-long wellness. Dr. Pinkston provides patients with comprehensive education throughout treatment, helping them understand their individual needs. From oral hygiene techniques to preventive services that strengthen teeth and minimize decay, we advise patients on the best methods to preserve their smiles. If decay or physical damage to teeth are already present, this educational approach helps you understand why recommended treatment is necessary and how additional problems can be prevented in the future. We provide thorough cleanings and examinations to further maintain our patients’ wellbeing. Cleanings at our office are detailed and gentle, to effectively clean areas of teeth and gums that cannot be reached when brushing and flossing at home. Our Oklahoma City dentist polishes the front and chewing surfaces of the teeth, making it difficult for bacteria to accumulate between check-ups. Exams provided by our practice demonstrate to patients how preventive care can be customized to their unique needs. 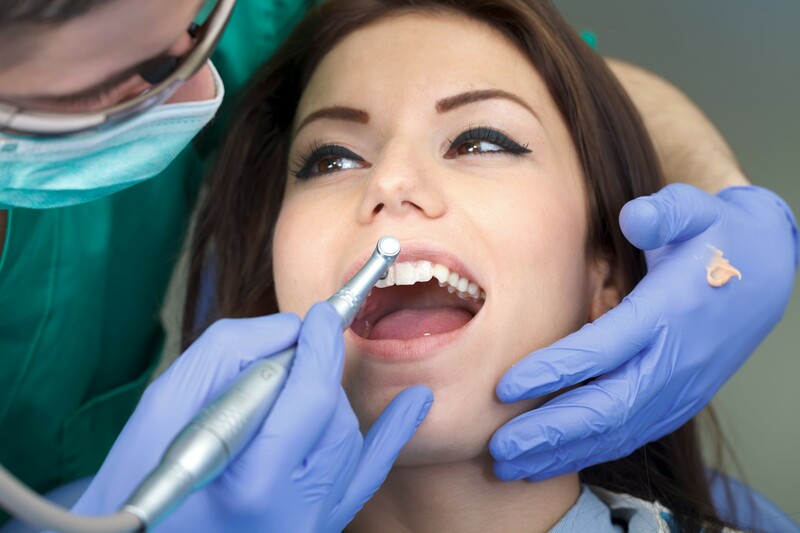 During these visits, we also determine the current state of your oral health and check for early signs of oral cancer or other conditions that detriment long term wellness. Key to preventive dental care is the use of fluoride. Fluoride is applied after cleanings to strengthen healthy enamel and protect against decay. In addition to fluoride washes we provide non-invasive prevention through dental sealants. These are applied to the top of the molars after they have been cleaned. Sealants are then hardened, making it difficult for decay to develop on back teeth with deep grooves that trap food particles. If you are looking to preserve the health of your teeth with minimally invasive dentistry and educational care, contact our team today. We provide comprehensive preventive dental services for patients throughout Central Oklahoma City and the neighboring communities. Schedule your consultation today!